Local power generation from mini-hydropower plants is much more effective than central power. Building mini-hydropower generating units allows supply of energy to the country’s remote regions, without damaging the environment. Russia will soon launch several projects to build mini-hydropower plants, in an attempt to resolve the problem of power supply to remote regions of the country. At the end of July 2016, the BRICS New Development Bank's Board of Directors (NDB) agreed to provide $ 100 million for hydropower generation. This money will pay for two small hydropower plants being built in Karelia, the region to the north-west of Russia, near St. Petersburg. Funds from the BRICS bank will be used to support the programme of ‘green’ projects in group member countries – the programme extends to the use of renewable energy sources. The Russian Direct Investment Fund, a special organization created to support infrastructure investment in the country, is a co-investor in the construction of power plants in Russia. Both power plants, of 24.9 megawatts capacity, will be built on the northern river Kem. "As China’s experience has shown, in some provinces, mini hydropower plants have proved to be quite cost-effective", said Sergey Hestanov, Macroeconomics Advisor to Director General "Otkritie Broker". It is typical for areas where power consumption is relatively low, he said, and the areas are located far from the main power source. In those circumstances, the cost of transporting electric power could exceed the cost of generation. Local power generation from mini-hydropower plants is much more effective than central power, Hestanov explained. This also applies to areas with a low population density, so these power plants were quite common in the USSR at the beginning of electrification in the 1930s. With growing industrialization, these were rejected for large power plants. "Currently, the idea of local generation is experiencing a renaissance on a new technological level", said Hestanov. Mini-hydroelectric plants have several advantages and disadvantages compared to other types of sources. Small hydropower plants do not require high road dams to be built and a small hydroelectric generator is inexpensive, said George Vashchenko, chief of operations management in the Russian IC stock market, "Freedom Finance". However, he said, the need for construction and maintenance of roads makes the project unprofitable if it is located in hard to reach areas. Russia already has more than 100 mini-hydroelectric power stations, and has launched several new projects, said Dmitry Baranov, a leading expert of "Finam Management". 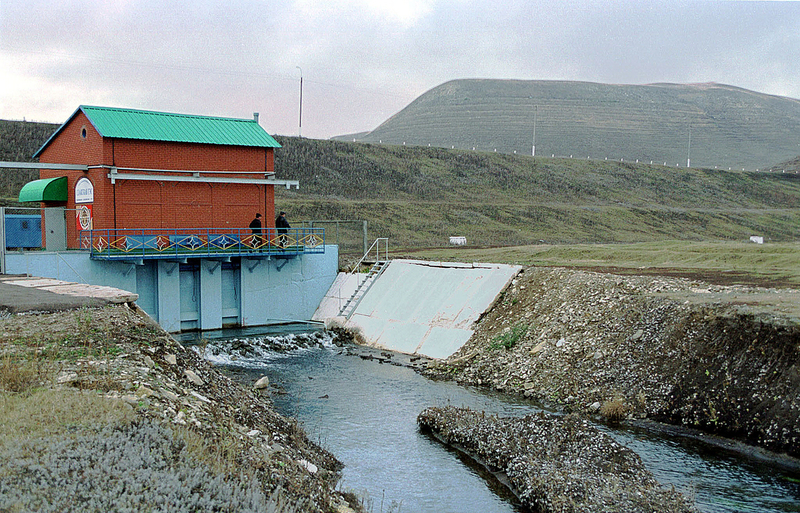 The majority of mini-hydropower plants located in the South and the North Caucasus he said, and the proportion of small hydropower plants does not exceed 1% of power generation in Russia. Nevertheless, an emergence of new mini hydro power plants in other regions of the country is possible, said Baranov. Earlier, the state fund "New Energy", small hydropower development programme operator "RusHydro" announced the construction of 19 small hydropower plants with a capacity of 25 MW in the rivers of the Altai region in eastern Siberia. In Buryatia, a Russian region, located to the east of Lake Baikal, two places for the construction of small hydro power plants were selected – in the rivers and the Upper Ulzyha Kurumkan. During the construction, it was proposed that elements of existing irrigation systems here be used. "These projects will improve the socio-economic situation in the regions, accelerate the implementation of many projects. In addition, the domestic engineering industry will receive strong support," said Baranov.